This is a simple swap, just to get some mail in your box. The postcard is senders choice. Feel free to read your partner's profile for ideas, but it's not required. 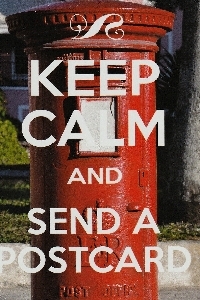 The postcard is to be stamped and sent "naked" (no envelope), with a short message to your partner. PLEASE REMEMBER TO INCLUDE THE NAME OF THE SWAP AND YOUR USER ID.